Viren Murthy. 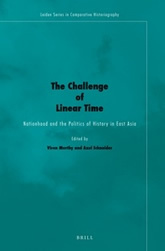 The Challenge of Linear Time: Nationhood and the Politics of History in East Asia. Brill, 2014.